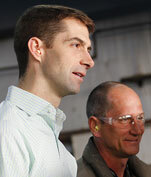 Tom Cotton is fighting for Arkansas and delivering results for hard-working Arkansans. 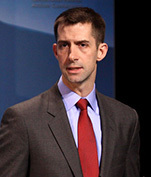 Tom Cotton represents Arkansas in the United State Senate. Tom is a 6th generation Arkansan born and raised on his family's cattle farm in Yell County. After law school, Tom joined the infantry where he completed combat tours in Iraq and Afghanistan. He served as an officer in the Old Guard at Arlington Cemetery, the unit responsible for military funerals. Tom was awarded the Bronze Star Medal, the Combat Infantry Badge, and the Ranger Tab during his service. In the Senate, Tom serves on the Armed Services, Banking, Intelligence, and Joint Economic Committees. 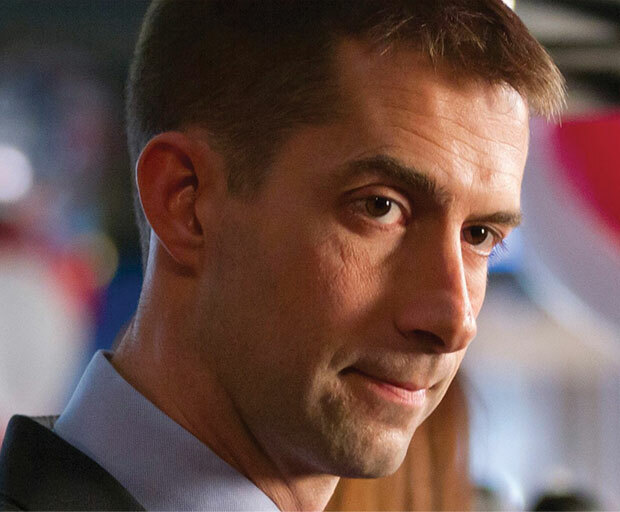 Senator Cotton has been a leader fighting for a strong military and giving our troops the tools they deserve, reducing the cost of prescription drugs, and securing the border. 6th generation Arkansan who was born and raised on his family’s cattle farm in Yell County. Tom is married to his wife Anna and has two children. Tom completed combat tours in Iraq and Afghanistan, where he served with the 101st Airborne and a Provincial Reconstruction Team. Later he served with the Old Guard at Arlington National Cemetery. 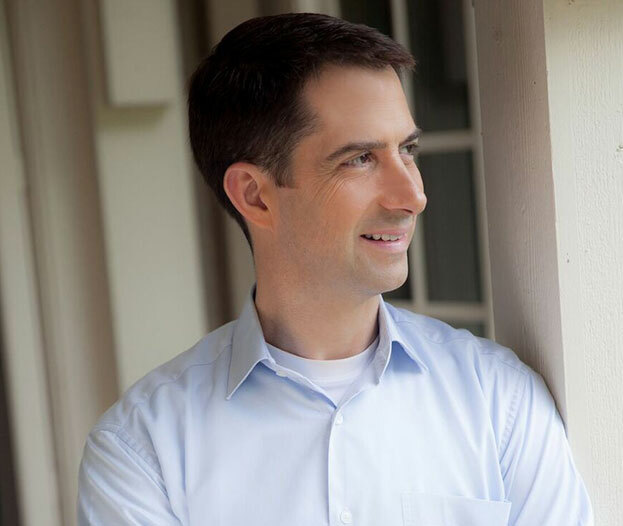 Tom was elected to the United States Senate in 2014 and previously represented Arkansas's fourth congressional district. Tom has been fighting for Arkansas. Here are a few things he's most proud of. Getting rid of the Obamacare mandate. 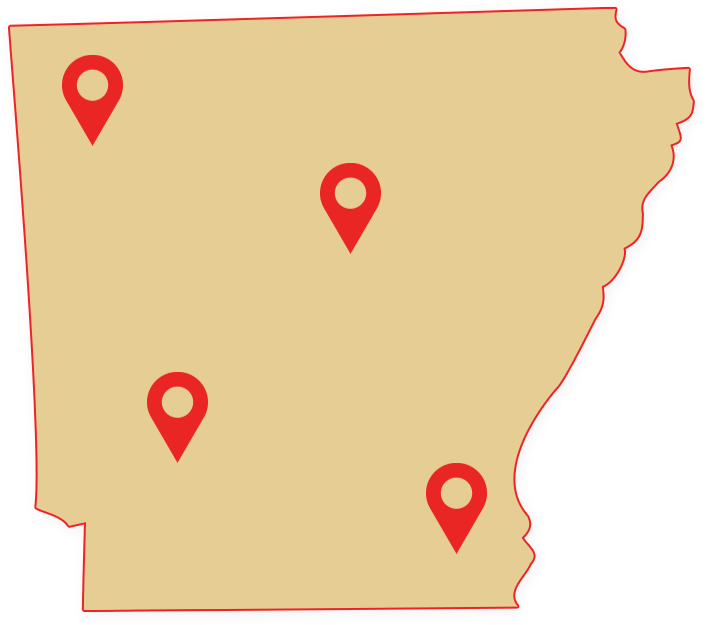 The Obamacare mandate was a tax on more than 60,000 Arkansas households that couldn't afford health insurance. 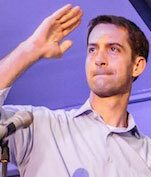 Senator Cotton fought and succeeded in getting the tax repealed as part of the 2017 tax cut. Securing funding for our military and veterans. 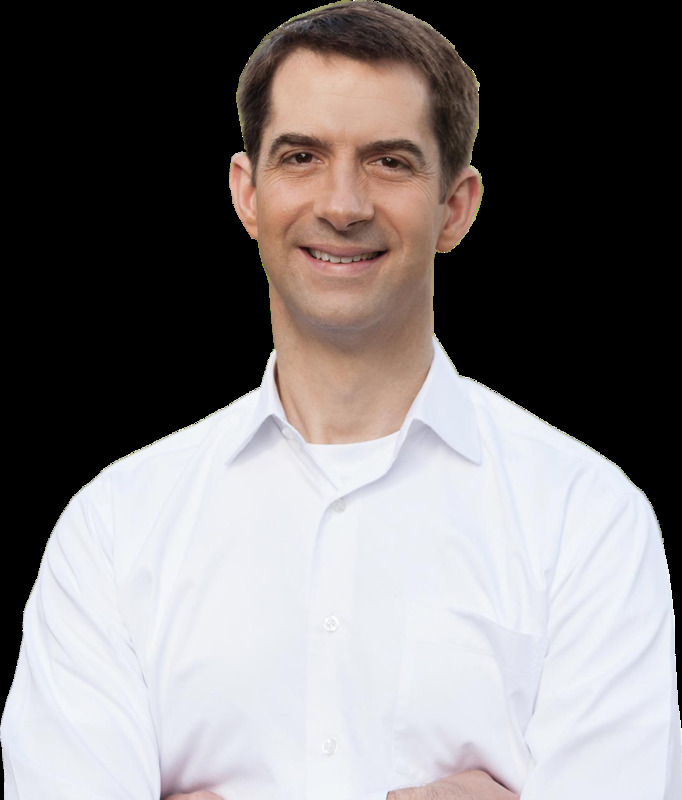 Senator Cotton is fighting to rebuild our military and ensure that our brave soldiers at the Pine Bluff Arsenal, Fort Chaffee, and Little Rock Air Force Base have the resources they need to keep us safe. Fighting for lower prescription drug prices for Arkansas seniors. Tom is working across the aisle to stand up to big pharmaceutical companies that are driving up the cost of drugs for Arkansas seniors. He's worked with the Trump administration to get more generic drugs on the market. Standing up for victims of the opioid crisis. Tom's a leader in cracking down on illegal drugs, working with Arkansas law enforcement and President Trump to increase the penalties for trafficking fentanyl and opioids. 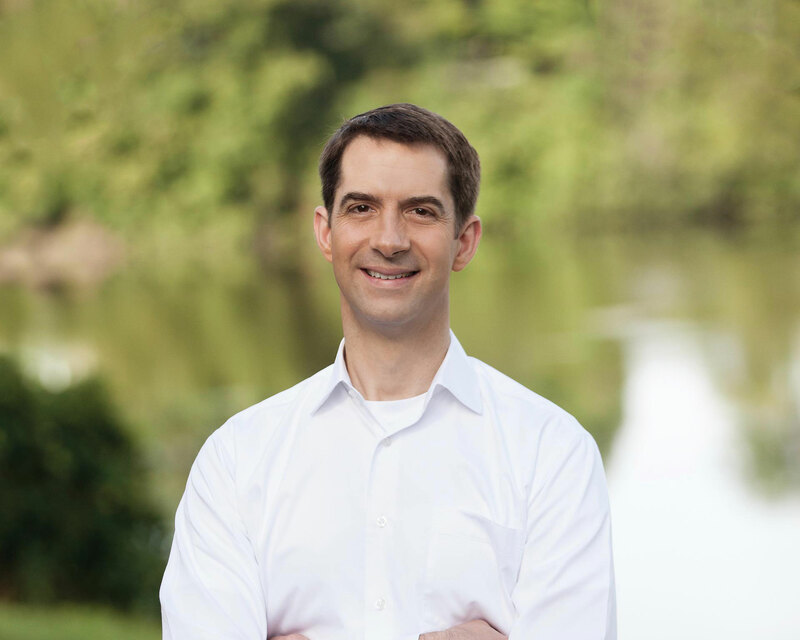 A national group of drug-enforcement officers named Senator Cotton their Member of the Year for leading the fight against illegal drugs. On this week’s Capitol View, U.S. 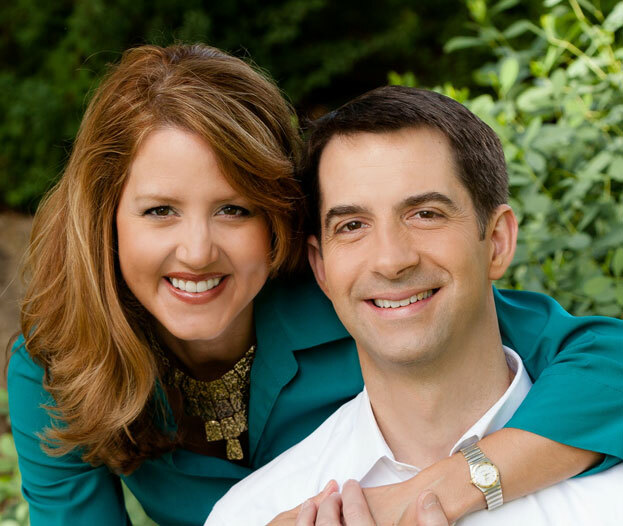 Senator Tom Cotton joins Jessi Turnure discussed their opinions on immigration after President Donald Trump visited the United States/Mexico border. 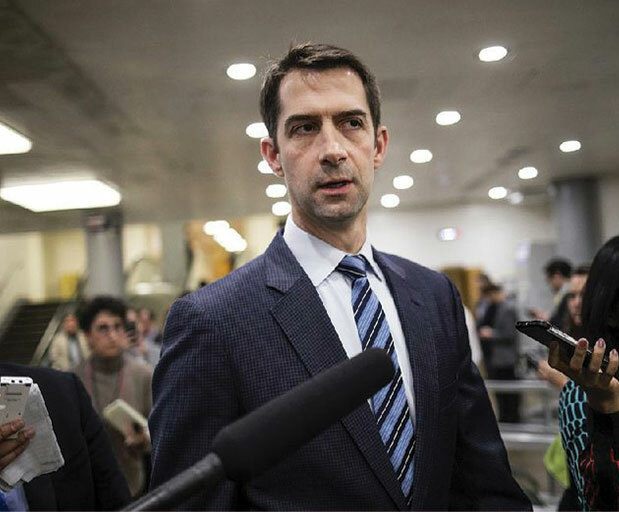 Setting their partisan differences momentarily aside, U.S. Sen. Charles Schumer, D-N.Y., and U.S. Sen. Tom Cotton, R-Ark., promised Thursday that they’ll work together to fight the flow of synthetic opioids into the United States. 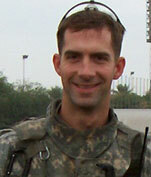 Senator Cotton was honorably discharged from the U.S. Army.